There’s no doubt that tracking where our time goes in our everyday lives is a crucial way to figure out if we’re spending this non-renewable resource on the things that actually matter to us. In olden days, time tracking meant “punching in and out” and was used to track employee hours on the job. Today, we still use it that way – but it’s evolved into so much more. Now we use time tracking to provide insight, justify decisions, realize budgetary and project-based cost-savings, reward employees, pay contractors, engage teams, and improve where teams are focusing their attention. To track employee hours: Employee hours can be tracked in a variety of ways because we’ve come a long way from the days of a punch-in, punch-out time card. Whether through time tracking software, employee “check-in” codes, or timer apps running in the background, tracking employee hours is the most common reason why we time-track, especially in a business context. To track billable hours on a project: If there are multiple individuals responsible for working on and finishing a project, tracking billable hours (versus “non-billable” hours) is crucial. It’s based on this that businesses (from small, two-person agencies to large, full-service firms) can decide how much the client pays and for which services or tasks they’re paying for. To identify costs, waste, and inefficiencies related to project deliverables: Let’s take the above scenario further — those non-billable hours, when tracked and then examined, can tell decision-makers where a lot of time-waste is occurring. Is there a task that should take an hour but is taking four? And would the solution to this discrepancy be putting another individual on it or to perhaps introduce technology, making it more automated and efficient? To allow management to identify where additional tasks can be added (and to whom): Everyone has a “zone of genius” and they work best when they’re in that zone. Just because a job description may call for a particular function, doesn’t mean it’s necessarily done best by that particular person. Tracking time provides supervisors or team leads an insight into who on a team can handle which tasks and where a shuffle of tasks might actually make the team faster, as well as happier and more engaged. To understand pricing strategically: This is a big one. Over time, as a business grows, they’ll be increasing their prices commensurate to the changes in the marketplace. But how do you price for value delivered? Time tracking helps to offer a justification for strategically billing clients. Particular services can be billed at a premium or a retainer’s price can be increased, based on how many average hours are being spent on a type of service or project. 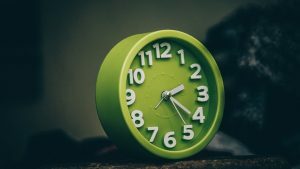 Via timesheets, connected to a timer: Timesheets are the simplest and most common method to track time. Using this method, employees or supervisors input the number of hours worked, the rate per hour and formulas within the form calculate the final number of hours plus pay. Often “smart” timesheets connect these hours to an employee ID, fill in hours from different applications, and even track costs or expenses related to time worked. Using “chunks” of time (aka the “Pomodoro” technique): Another popular way of allocating, measuring and tracking time is to “chunk” time in pockets of 25 minutes. This is known as the Pomodoro technique. For personal or professional use, freelancers will often use the Pomodoro technique to gauge how many “Pomodoros” or batches of 25 minutes they’re productive for. Tracking through task-based completion: Usually a feature within project management software, task-based completion assigns a task to an employee, offers the ability to track the time spent completing that task, and then creates a backlog for later perusal, showing decision makers how long a task takes, on average. Connected to project-based resources on a Gantt chart: Popularized by PMs in large-scale enterprises, Gantt charts are organizers that provide more than a just snapshot ̶ they’re complex and robust enough to essentially provide a log of resources, critical project deliverables and milestones, goals, and the tasks associated with these. Hours that are tracked can be appended to these variables on a Gantt chart. Through software-powered integrations:Integrations help migrate crucial information from one functioning software to another. It could, for example, help bring hours worked and tracked in one piece of software to another (such as accounting software). Integrating time tracking with other software applications saves time spent on manual data entry, and makes it easier for employees to track time in one place instead of several. Where does your organization fall, in terms of why and how you would need to track time? It may not be just one use case – you may need to track time for several different reasons. The best course of action would be to assess how you’re currently tracking time (or if you need to start) and determine if that method is meeting all your needs. Then, we recommend following this checklist of features to look for in a time tracking solution, so you can figure out what will work best for your organization’s needs.